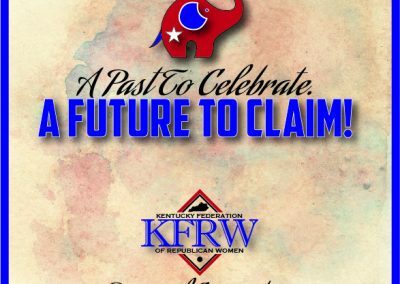 The Kentucky Federation of Republican Women held it biennial convention August 12-13, here in Lexington. We had the President of the NFRW, Ms. Carrie Almond, present and she brought “Rosie.” Rosie is a 40’ bus wrapped with the NFRW logo and huge letters broadcasting the Republican Women across the country. Rosie has traveled over 15,000 miles and 26 states since Mother’s Day 2016, and will end up in Washington, D.C. this November. We also had Ms. Roseann Slonsky-Berault, NFRW Membership Chair attend our convention. This year a new fundraising campaign was instituted for the KFRW. We formed a First Lady’s Circle, and for $100, women of the KFRW could be a part of the circle. We had 107 women join us this first year. To thank these women, Shirley Wiseman, Chair, planned a luncheon in the Governor’s Mansion, and Fist Lady Glenna Bevin was our hostess. Over 80 women attended. Carrie Almond brought Rosie and she was parked in front of the Mansion; a “bus signing” was held and many legislators and people attending the luncheon signed her. Mrs. Bevin and our Lieutenant Governor, Jenean Hampton signed Rosie, as did Treasurer Allison Ball, and State Auditor Mike Harmon. House Republican Leader, Jeff Hoover was our Saturday banquet keynote speaker. Mr. Hoover was extremely informative on how he and the current House members were working on “flipping the House” this November. We are only four seats shy of getting this done. With all of KFRW’s help across the state we can get this done. 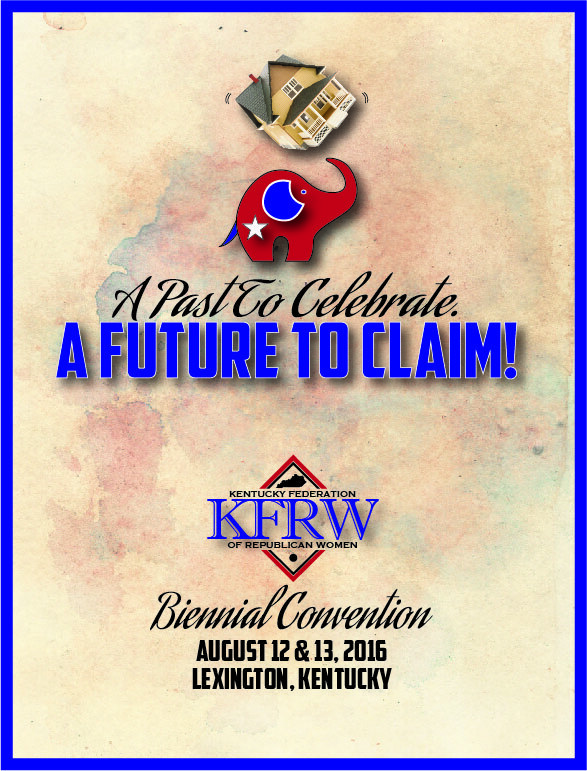 I encourage all members of the FCRWC and WROCK to become involved with the KFRW. KFRW is your state Federation, and I am proud to represent you as the KFRW President.